MANILA, -- Philippine Coast Guard (PCG) will soon have four brand new fast patrol boats from France. This, as Philippine Transportation Secretary Arthur Tugade visited the shipyard of French boat manufacturer OCEA in Sables d’Olonne, France on April 1 to inspect four brand new 24-meter fast patrol boats (FPV 72 MKII) purchased by the Philippine government for the PCG. The boats are part of the Philippine Ports and Coast Capability Development Contract signed between the Department of Transportation and OCEA on September 9, 2014 to modernize the Coast Guard’s fleet. 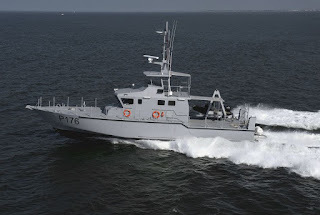 Aside from the four fast patrol boats, the contract also includes a brand new 82-meter offshore patrol vessel (OPV 270 MKII), five-year preventive maintenance for all five boats, spare parts for five years, and technical assistance and training for the crew. During the discussions with OCEA CEO Roland Joassard, Secretary Tugade also discussed positioning the Philippines as a regional hub for ship repair and how OCEA could play a role in achieving this goal, being a supplier of patrol boats to other countries in the region. Joassard promised to assist the Philippines in this endeavor and extended verbal commitment to sign an agreement to this effect before the end of 2017. The Philippine delegation included Philippine Ambassador to France Ms. Ma. Theresa Lazaro, Philippine Coast Guard OIC Commodore Joel Garcia, BCDA President, and CEO Vivencio Dizon, Transportation Undersecretary Cesar Chavez and Consul Rapunzel Acop. 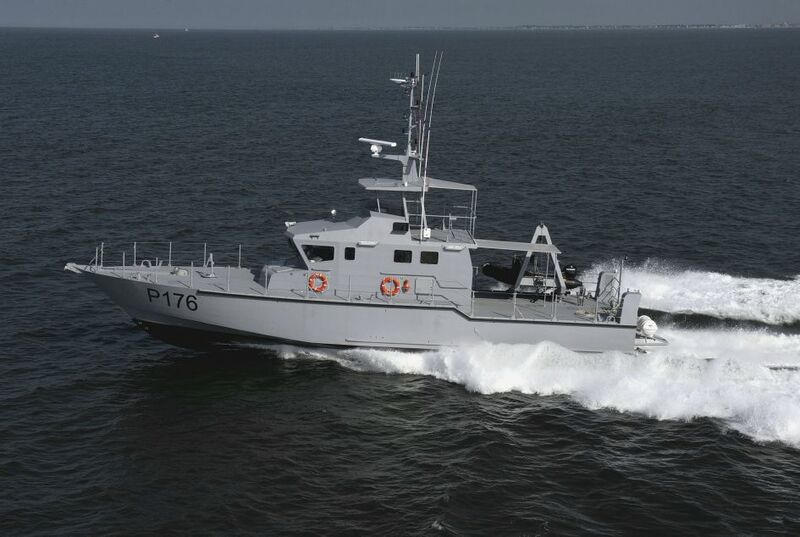 An OCEA FPB72 Mk.II patrol craft seen here undergoing trials in France.